The Theory of Elements dates back to ancient times. Since then the concept was embraced and adapted by many cultural circles and different philosophical doctrines. In paganism they are connected to attributes and character traits. Elements often play a prominent role in rituals, meditations and recipies or are used as affirming symbols. This tutorial is part of a larger series. If you want to know how to make a basic goddess pendant without a mold, check out this tutorial. 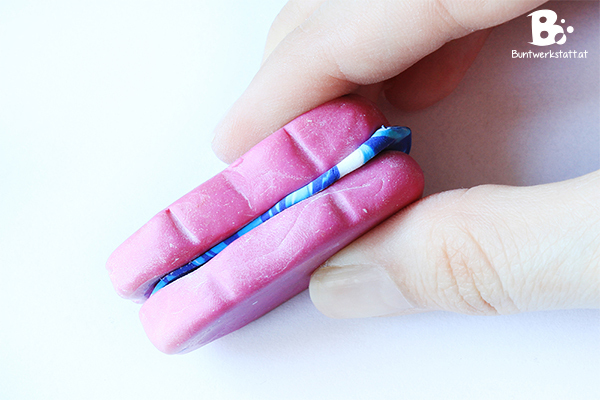 And here is the tutorial on how to make a polymer clay mold. 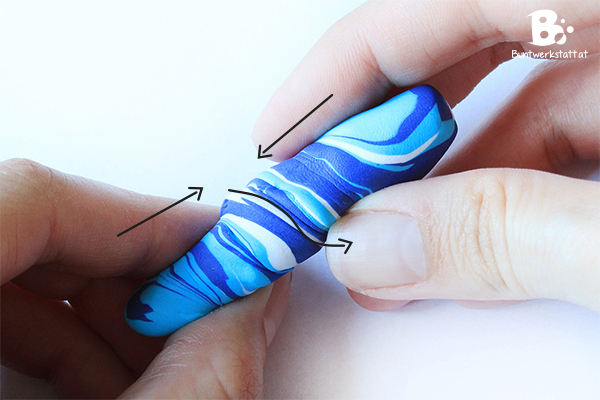 Here you can find 4 really cool surface effects for polymer clay. 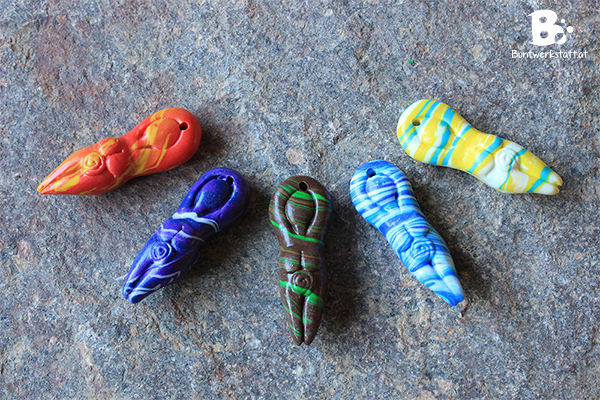 For this craft you need some brand of polymer clay. 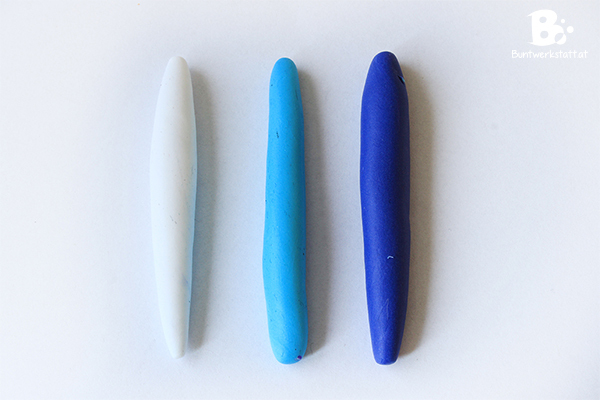 (available here*) Choose the colors for each element. Use whatever feels right for you! I didn’t always use the same amount of each color. For example for the Earth pendant I wanted just a few streaks of green, so I used less of that particular color. All the steps are the same for each element, only the colors are different. 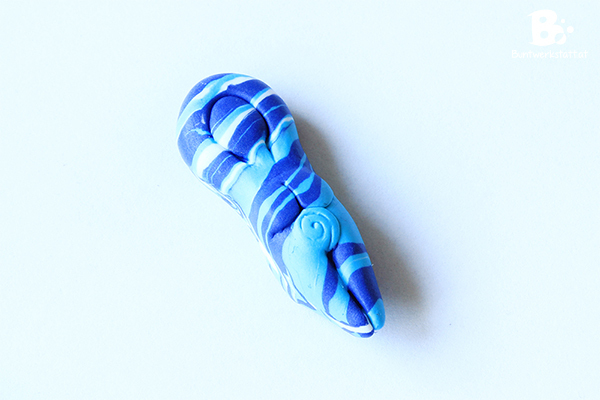 Knead and soften the polymer clay. 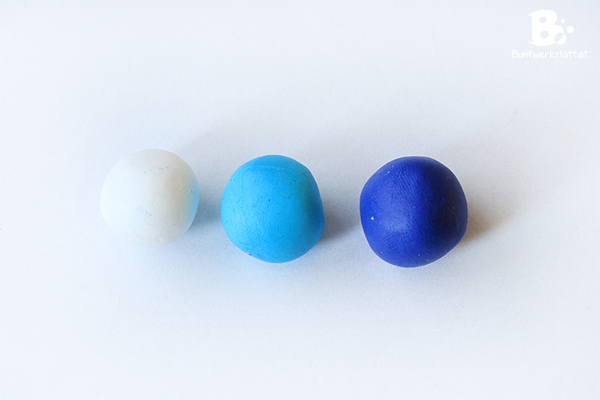 I rolled each color into a little ball, because it is easier to compare the amounts of polymer clay you used. 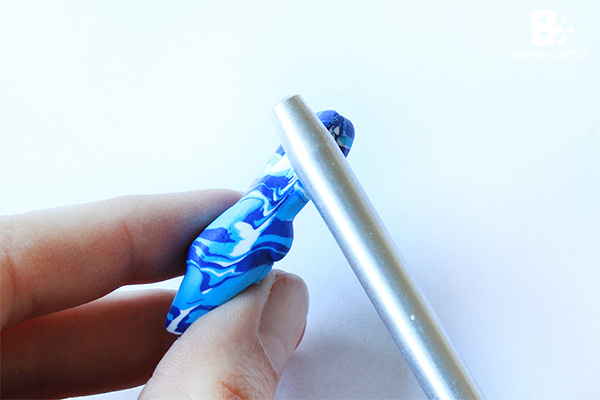 Roll the polymer clay into short tubes. They should all have roughly the same length. Twist the tubes loosely and mash the ends together. Roll the twisted tube a little to elongate it. Fold the tube in half and twist it again. 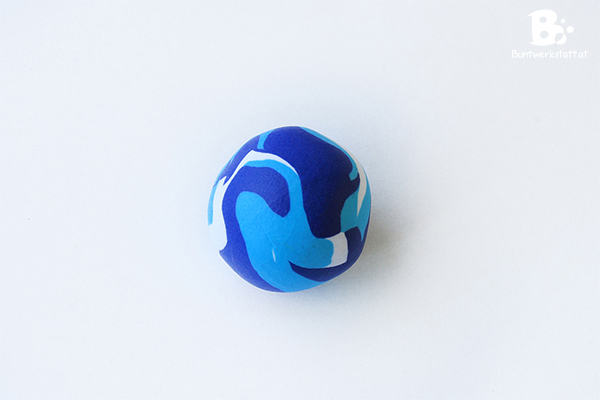 Roll everything into a ball to mix the colors further. This is the important part: Lengthen the ball a little and start to twist it again. But this time don’t twist the whole piece at once. 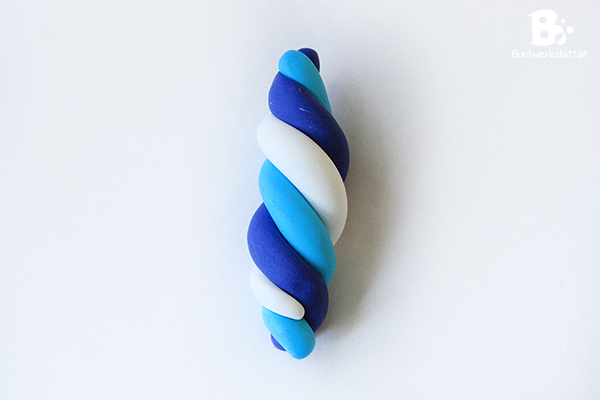 Just take it into your hands as shown in the picture and only twist the piece between your fingers. Twist it until the streaks of colors are as thin as you want them to be and then move up and twist the next piece. 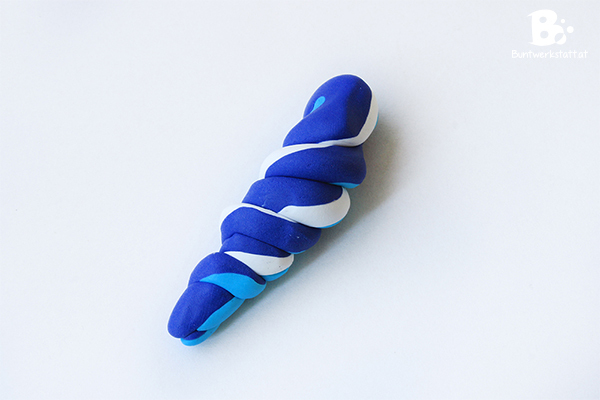 During the twisting process, the width of the clay piece should stay the same. If it starts to thin out, just press it together gently. Press the parts of the mold together tightly. 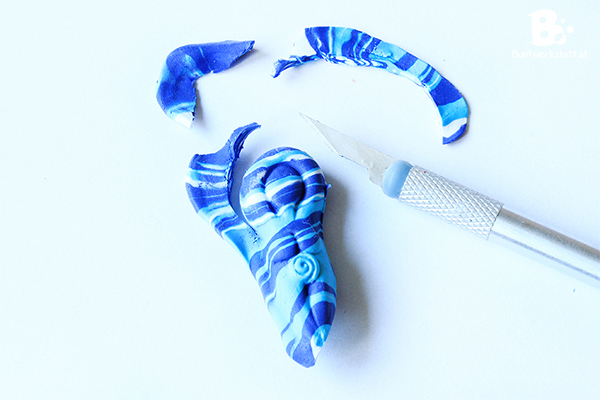 Remove the excess polymer clay with a sharp cutter knife. Smooth out the edges. I made gentle rolling motions with the handle of my cutter knife. You can use a toothpick to fix little mistake and reinforce lines. 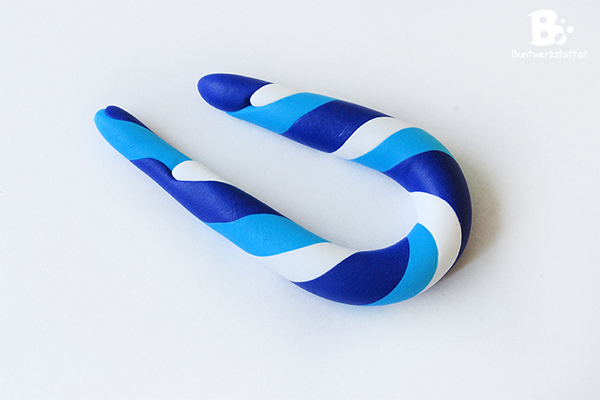 If you are satisfied with the result it’s time to harden the polymer clay. Bake it according to the product instructions. 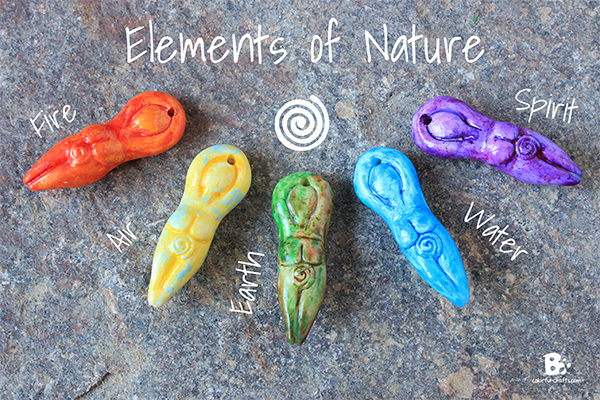 This is another example for an Elements of Nature Pendants Set. I used the watercolor-technique described in this entry for this set.